Emigration of Indian youths: Right or wrong? ~ Engineering projects ideas for final year students & paper presentations collection blog. Emigration of Indian youths: Right or wrong? 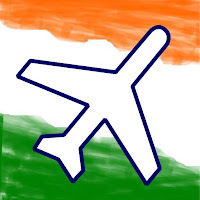 Emigration of Indian youth: Please carefully read this and post your opinion on this! Hello engineers this is an post about the younger generation of our mother INDIA. It is about the migrators from the home country to the other places of the world for various reasons. When there was a survey conducted about this in about ten different countries, it was found that the main reason of youths leaving their home land under the belief that "They'll get a better and secure future" this is also the same case in india! India now is on the path of development and it is mainly concentrating on eradicating poverty, in this situation youths of the neighboring countries like Bangladesh etc try to enter into our country in the hope of earning a living in our urban scenario but mostly these people come to escape their pathetic living condition, but this kind of migration is illegal mostly. This may help in the development of our country to an extend but it mostly steals the opportunity that an Indian may make use with the resources available to him. Most of the people who have migrated to India have not lived their dreams rather they are experiencing a life of uncertainty, they are being doubted by police for theft and pick pocketing etc, Moreover they mostly stay in slums with unhygienic life style. India has one of the largest youth population in the world, a survey conducted by BBC shows that nearly 64% of the youth of Delhi believe that migrating to other countries will ensure them a secure life, definitely globalization has played a major role in this thought process. Numbers of engineering colleges are also raising in India, though most of them not up to the mark. Only 1% of the students wanting to be engineers get into a really good universities like the IIT’s etc. The reservations that are made in limited no of seats leave the students with no choice but to migrate to other countries for their carrier. But not forgetting the scenario in India, most of the students move abroad to pursue their dreams and to work in Silicon Valley leaving India deprive of those specialized engineers. Brain drain has left India in bad situation .There are also companies in India which satisfies students in all aspects students can have optimistic ideas to work in India to solve the problem of brain drain.